When it comes to sharpening tools, you can always take things to extremes. I mean, there are people who say they won’t go to the bench unless they have tools that gleam like mirrors and have come off a 10,000 grit water stone. That’s an awful lot of work to do to get your edge sharp, when you really don’t have to go that far. 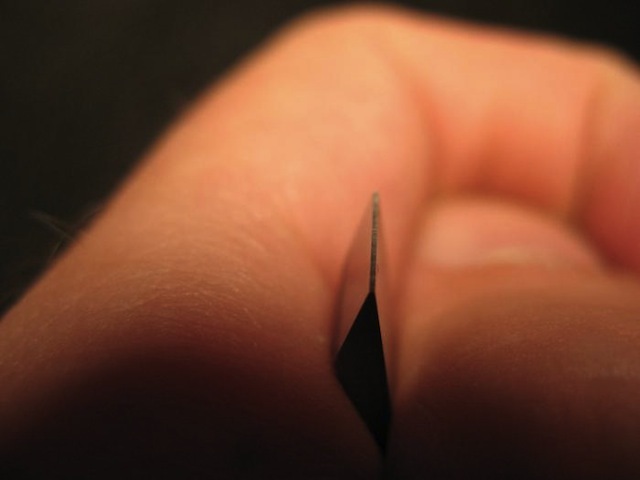 In fact, you can stop the sharpening process a whole lot earlier when you get your edge to the proper degree of sharpness. But, how can you tell if you have gotten there? I know of five common tests to gauge the sharpness of your chisels, plane irons and other edges. And, when I’m done sharpening my edged tools on my Tormek, I like to give them the once-over to ensure they are as sharp as they need to be. The glint test. Kari Hultman of the Village Carpenter told me about this one. Under a very bring light, hold the edge of the tool pointing at you. If you see any glint of light reflecting back from you from that edge, it’s not sharp enough. Remember, sharp is the point at which the two planes of the chisel’s back and the bevel meet, and any flat on that edge indicates that your sharpening job has more to go. It’s a very subtle thing to notice, so you’ll have to build some expertise. Oh, and using a magnifying glass, jeweler’s loupe or some other sight aid helps tremendously. 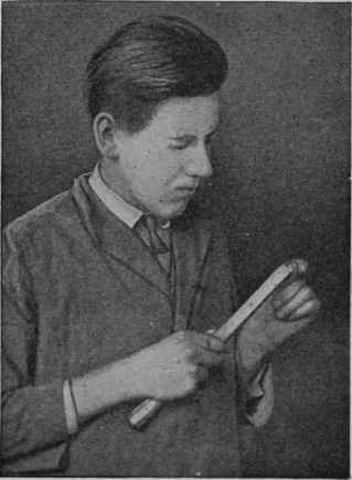 The fingernail test. Your fingernails are made out of keratin – a tough and smooth protein, so it takes quite the sharp edge to scratch them and not just slide off. 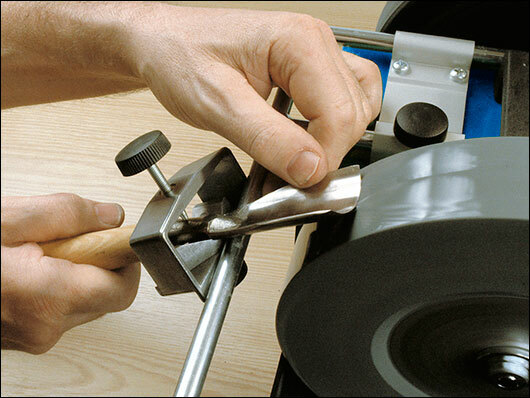 When you pull your blade off your sharpening medium, GENTLY drag the edge over your nail. 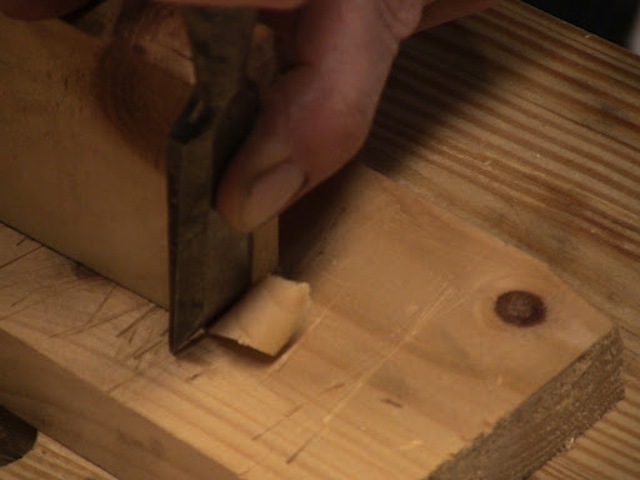 Again, a dull edge will glide over the nail, where a sharp edge will bring up shavings. Again, BE GENTLE! You can hurt yourself badly if you push too forcefully. The shave test. It’s called woodworker pattern baldness. You’ll see sharpening enthusiasts sporting bald spots on their arms (or even legs) after time at their sharpening stations. It’s not a surprise, a very sharp edge has the ability to slice hair as it is dragged across skin (don’t try to shave your face with a chisel or plane iron… it will be a rough shave, no matter how sharp you have your irons. Razors have a much more acute angle). A keenly-sharpened edge can clear a patch of hair with minimal pulling. The paper slicing test. If you hold a piece of copy paper in your hand and a sharp edge against, you should be able to cleanly slice the paper with minimal fuss. Again, we’re talking about very sharp tools here, and the finer that edge, the easier it will be to slice. In addition to demonstrating how sharp your edge is, it’s also a great party trick that will make your guests ooh and ahh with pleasure. The end grain slice test. 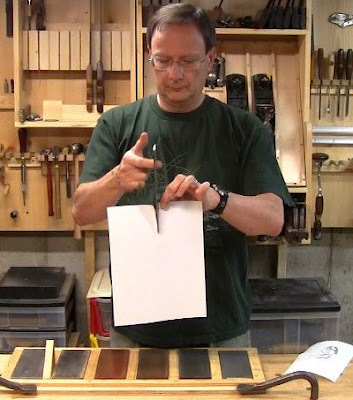 This is the test I use, and I think it works best for woodworkers. Before I set up for a sharpening session, I will clamp a block of wood in my bench vise. Normally it’s just something out of my scrap bin, but I have found that softer woods give a better indication of just how sharp the edge is. When I pull the edge off the Tormek, I will go over to this block and use the edge to slice a ribbon of end grain off the board. If the chisel or plane iron just pushes right through with minimal effort and leaves a sweet looking ribbon of end grain, I know I am there. Softer wood gives a great indication – if it slices cleanly, but doesn’t push the end grain down, you are there. Ultimately, the proof will be when you work with the tool at your bench. If it cuts nicely after you sharpen it, you are good to go. Just monitor how the cut feels, and when you don’t get clean cuts anymore and it takes more effort to use the tool, it’s time to think about breaking out the sharpening medium and getting back to work. Your really cut to the chase. You got right to the point. Never a dull moment at Tom’s Workbench. Good information and article, it’s not my own saying and I can’t recall where I heard it but it’s one I use with my students. It’s in line with your glint test and says: “If you see something, you have nothing.” Simple little phrase that’s easy to remember.